This Tiny Device Could Change Your Life! A non-invasive alternative to nasal CPAP, oral appliance therapy (OAT) is a convenient method for treating obstructive sleep apnea (OSA). OAT uses a custom-fit dental appliance that prevents the sleeper’s airway from opening while they sleep. This method of treatment, OAT offers a better success rate than surgery, though, unlike surgery, it is completely reversible and much less constricting than nasal CPAP. Dr. Abrams at Levittown Family Dental Associates, a board certified member of the Academy of Dental Sleep Medicine, is very experienced in OAT and will be able fit you with a custom dental appliance. How Effective is Oral Appliance Therapy? 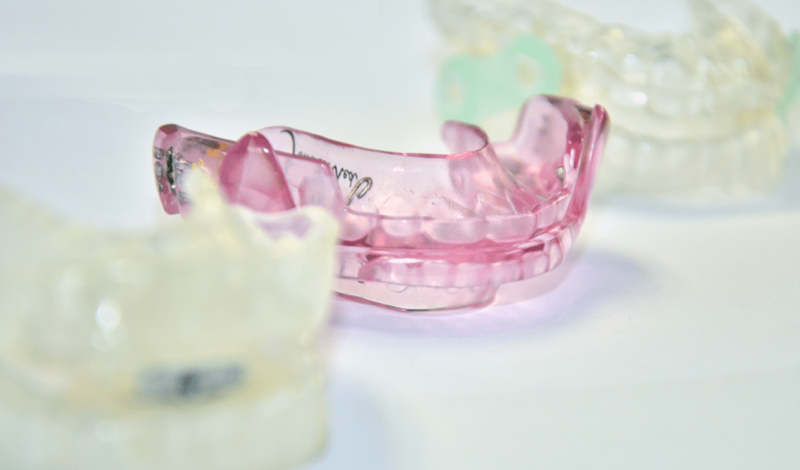 Various factors affect the success rate of oral appliance therapy when it comes to treating obstructive sleep apnea and reducing or eliminating snoring. While not every patient is a suitable candidate for this treatment, there are two different appliances available that fit a wide variety of patients: The mandibular (lower jaw) repositioning appliance (MRD) and the tongue retaining device (TRD). A patient’s success rate is dependent on fitting the most appropriate appliance, titration and method of use to each individual patient. Each patient is unique and a proper fit varies depending on treatment goals, apnea scores, and the physical structures of their mouth, jaws and throat.